Jamestown (CSi) The Stutsman Correctional Center inmate roster lists 25 year old Justice Lange. She was transferred Monday from a Fargo hospital, for undisclosed medical treatment. 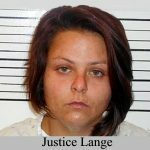 She is being held on unpaid Jamestown Municipal Court fines in the amount of $56, and a hold from Foster County in an unrelated case. The Stutsman County Sheriff’s Offices says it is still awaiting autopsy results of the baby found dead near Woodworth on Saturday. After a two day search, law enforcement officials found the body of the 4-month-old near a slough in rural northwestern Stutsman County Saturday. Law enforcement say they were unsure of how the baby died. 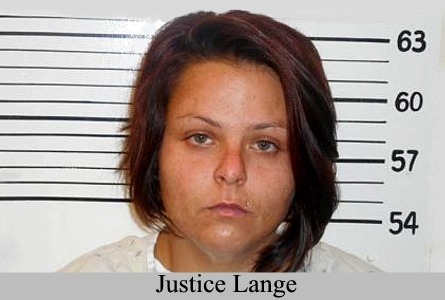 The baby’s mother, 25 year old Justice Lange, along with the baby were reported missing on July 2. Law enforcement found Lange on Friday without the infant. She was taken to the hospital for unknown reasons. Stutsman County Sheriff Chad Kaiser says they will not be posting charges until they have the autopsy report. Kaiser says possible charges could be coming sometime Tuesday. But first, they have to get the autopsy and talk it over with the state’s attorney’s office.